I wanted to do something to commemorate Memorial Day and this is what came out of it. Hope everyone is having a safe holiday weekend and a sincere slaute to all veterans out there. with the upcoming HEROES Convention in Charlotte (next week, June 4-6) and several projects/deadlines to take care, both "Kara Bocek" and "Nightmare Town" are taking an "intermezzo" (yeah, that sound better than "a break" ;)). I did the above fake cover as (a bit silly) take on Ben Grimm for Comic Twart - inspired by an initial headsketch of Ben with fedora-like and coat on by Ramon Perez, sketch that I inked and transformed in the above cover. What if Ben and Reed part ways (not in a good way). After a few years Ben is a PI and (femme fatale) Sue steps in his office. She wants Ben investigating on the murder of Mr Fantastic. First, WildStorm's GARRISON #2 (of 6), my and Jeff Mariotte's new creator owned title (and as such it has a special place in my heart :)). Above is an exclusive preview of the first 6 pages just to give a glimpse of the rollercoaster action you guys are gonna get from now until the explosive issue 6 (which concludes the mini). For those interested, I will have this available as nice archival print as well along with the Dark Winged Skull King, both at the show and on my website thereafter. I am working on a wrapparound cover for a LOVECRAFT book (gig that I absolutely adore). 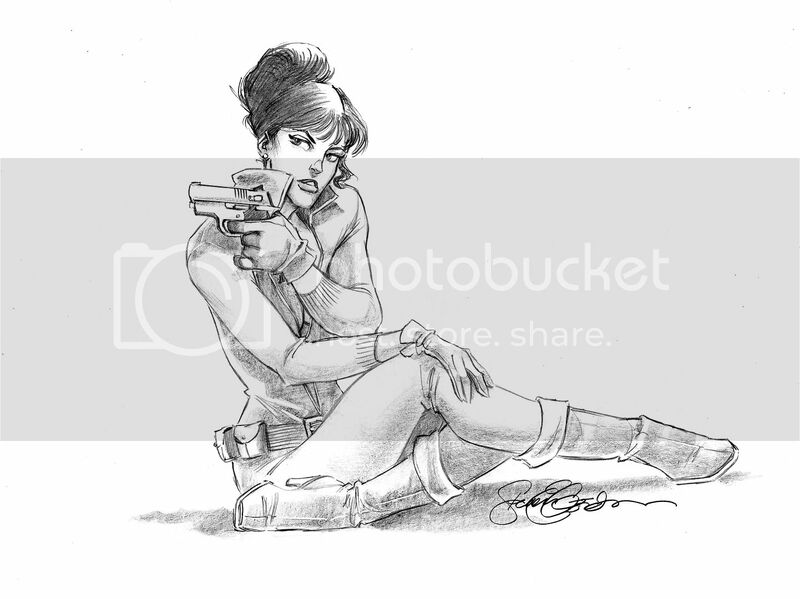 as mentioned earlier this week, I wanted to do also a tribute piece for O'Donnell, but when I saw my dear Friend Steve Gordon's beutiful Modesty Blaise, I asked him if I could ink it(I love inking Steve's work every now and then, and I haven't done it since our Gen 13 illos), and he graciously said yes. Hope you enjoy it. Below are Steve's awesome pencils. This is dedicated to you, Peter: thanks for your beautiful work. 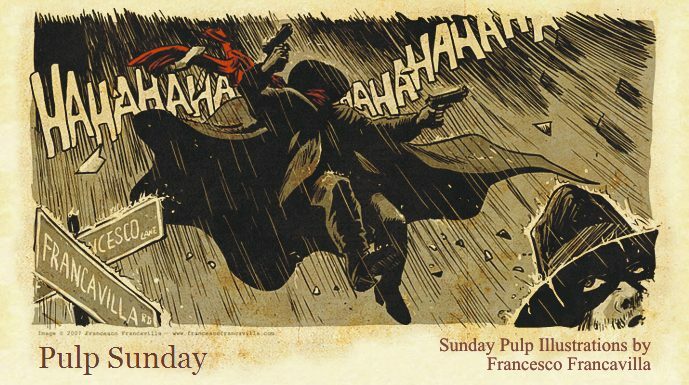 this last week has been a sad one for all the pulp aficionados, with the passing of Peter O'Donnell a few days ago and today's passing of legendary Frank Frazetta. I was lucky enough, some time ago as you know, to be involved in one of the Frazetta's book (Dracula Meets The Wolfman) and was totally geeked out to know my work was reviewed my the master himself, an artist that has been a huge inspiration for me since ever. I am planning to pay proper tribute to Frank and Peter later this week, when I will have taken care of a couple of deadlines and have the right time to do it. For now, So Long, Frank and Peter, you will be both greatly missed. Click on the image for "LULLABY"
Hope you guys enjoy it and hope you don't mind the lack of dialogues or sfx: I wanted this to be almost a silent tale and only you guys can tell me if I succeded at it. Click on the image above to open the first page and then browse LULLUBY's 8 pages from there.